The texture of this thick (260g/m²), approx. 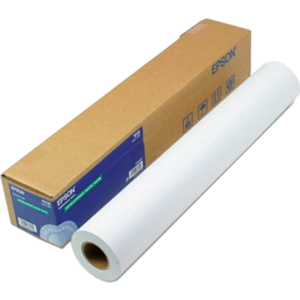 0.25mm resin-coated photo paper is very close to real photo paper. 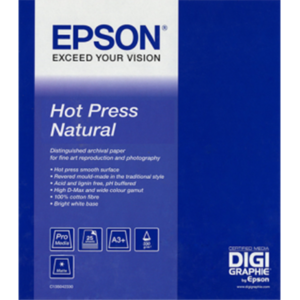 This medium is ideally suited for the creation of photographic reproductions and graphs, for which excellent quality pictures with a soft glossy surface are necessary. It may be used for laminations. 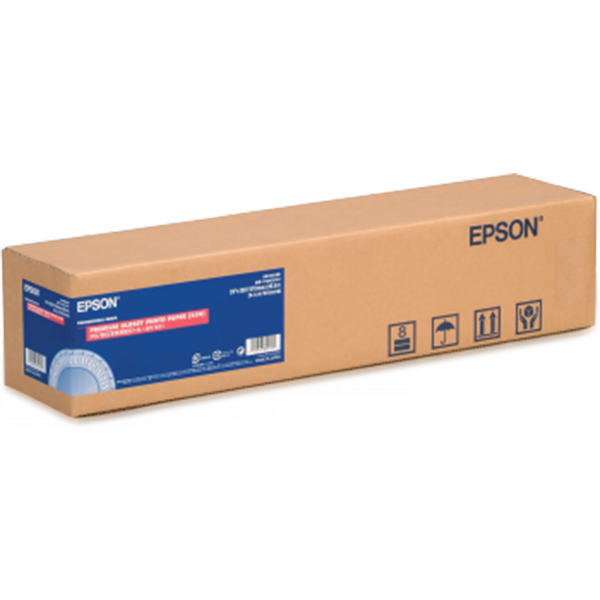 The Premium Epson Glossy Paper brings Photographic prints to a whole new level with its chemically engineered finish that makes the particles more uniform, which is essential in the way the prints turn out, resulting in an excellent piece of work that promises smooth tonal gradation and vibrant colours. 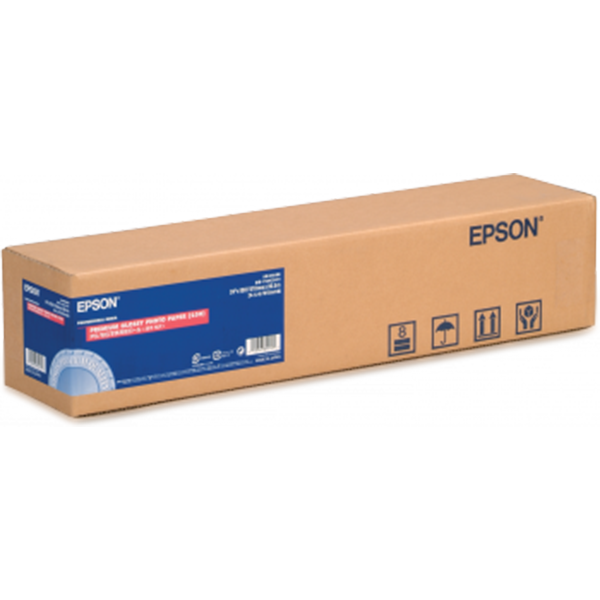 It has been optimised for UltraChrome™ ink to enable high-resolution output with accurate colours. It is fast drying with a cockle-free resin-coated (RC) base that enables vivid and vibrant images as well as images with fine details. This premium media is made for photographers and pay per print providers. Applications include postcards, photographic prints and photo books.